At Norbel we are proud to announce our ability to store vast quantities of coils in house inside our state of the art storage facility. 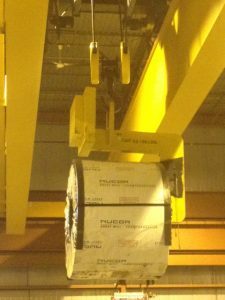 We use overhead cranes that run a Max capacity of 60,000 lbs to help suite our every need with the transportation of coils. 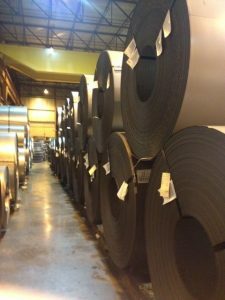 With a unique location for every coil in our warehouse it makes it easy to organize and find coils for our customer. 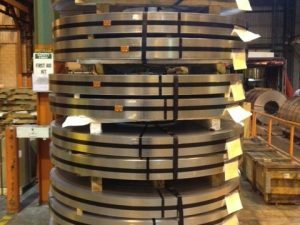 Due to our storage capacity we are able to offer Just in Time Hold and Release for our customers who wish to keep coils on hand and ready to cut for whenever they need them. All of the above services have consistent tight tolerances to fit the needs of our customers. 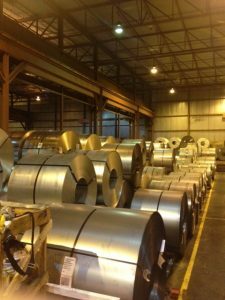 Our Quality program in place assures us that our tolerances are checked and remain tight throughout the job. 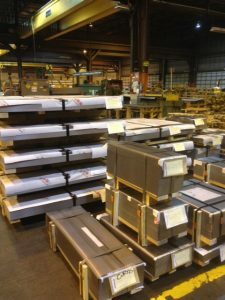 Within our facility we can conduct in house testing ranging from rockwell to elongation checks on all types of steel. 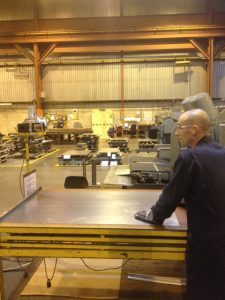 We use a Rockwell machine on request of our customer to check for the hardness in the steel we are cutting. This process requires us to cut a small square piece of out the steel for the machine to test. 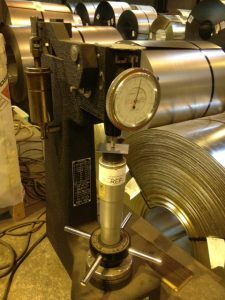 This machine measures the pressure needed to puncture through the steel. 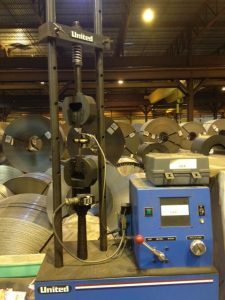 Using our “Speedy Tester” we are able to test the mechanical s of the steel on site at our customer’s request. This requires us to take a “dogbone” / Sample of the steel to put into the machine you see below.